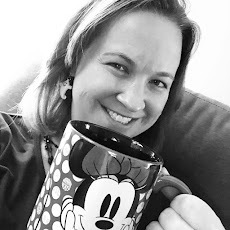 As we continue to count down the days to our next Walt Disney World trip, I'm busy finalizing FastPass+ reservations for our favorite rides and attractions using the My Disney Experience website and app. I don't know about you and your family, but we have some favorite rides that are "can't miss" experiences for us on each of our family vacations. 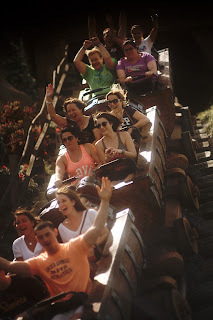 Here are my top 5 must-do rides in Walt Disney World. 5. Seven Dwarfs Mine Train - Magic Kingdom - One of the newer rides in Walt Disney World, the Seven Dwarfs Mine Train boasts mild thrills while also showcasing some amazing creativity. The dwarfs inside the mine take you right back to the famous scenes from the movie. This is probably the most popular ride in Magic Kingdom these days and FastPass+ reservations go quickly. Without a FastPass+ time, you can expect to spend well over an hour in line for your turn. 4. 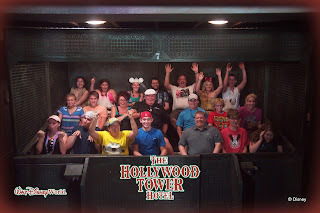 The Twilight Zone Tower of Terror - Hollywood Studios - I have a closet obsession with The Twilight Zone. Each year, when the Sci-Fi Channel runs marathons of the show on fourth of July and New Year's Eve, I find myself drawn into the show. This ride puts you right in the middle of your own Twilight Zone story as you go plummeting down an elevator shaft in The Hollywood Hotel. This is a definite FastPass+ reservation for us. At Disney's Hollywood Studios, this is a tier 2 FastPass+ selection which makes it a no-brainer for us! 3. Toy Story Mania! - Hollywood Studios - This is Brody's favorite ride in all of Walt Disney World! Here you enter the world of Andy's toys while playing a carnival-style selection of computer games. The ride is interactive, fast-paced, and entertaining. This is another ride where wait times can easily top an hour, so a FastPass+ reservation is highly recommended. As a tier 1 attraction, you'll have to make some tough choices in Disney's Hollywood Studios, but for our family there is no question on securing a FastPass+ for this favorite attraction. 2. Soarin' - Epcot - We have yet to experience the new video in Epcot's Soarin', but if it's even half as good as the previous version of the ride (and I've heard it's even better), we're going to be thrilled with the experience. This has always been one of my husband's favorite rides in Walt Disney World and I'm excited that my oldest son will get to enjoy it for the first time on our upcoming visit! We always like to hit this early in the day while also checking out other fun features in the Land Pavilion before heading over to Epcot's World Showcase. 1. Dumbo the Flying Elephant - Magic Kingdom - This ride is a Walt Disney World classic and holds a special place in my heart. One of my favorite Disney memories is from my very first trip. 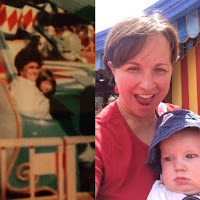 I was just 5 years old and my grandmother and I rode Dumbo together. It's still one of my favorite pictures from Magic Kingdom! Now I get to make memories with my own children nearly 30 years later. That's the magic of Walt Disney World - family memories to enjoy year after year!